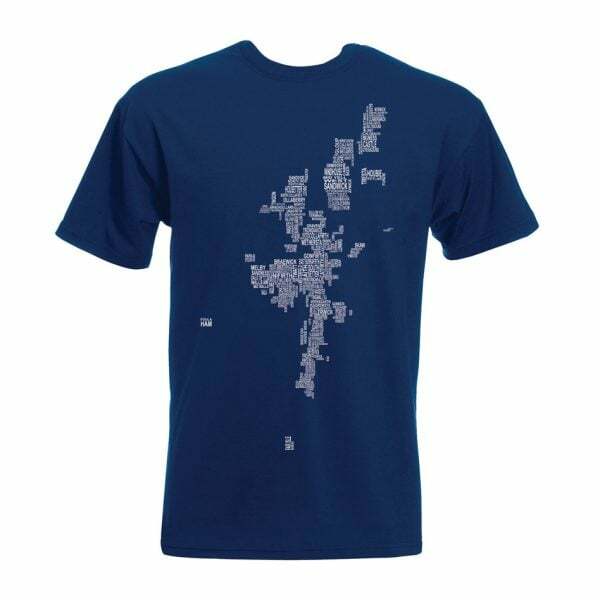 Shetland map name tshirt perfect for all Shetland Island lovers. 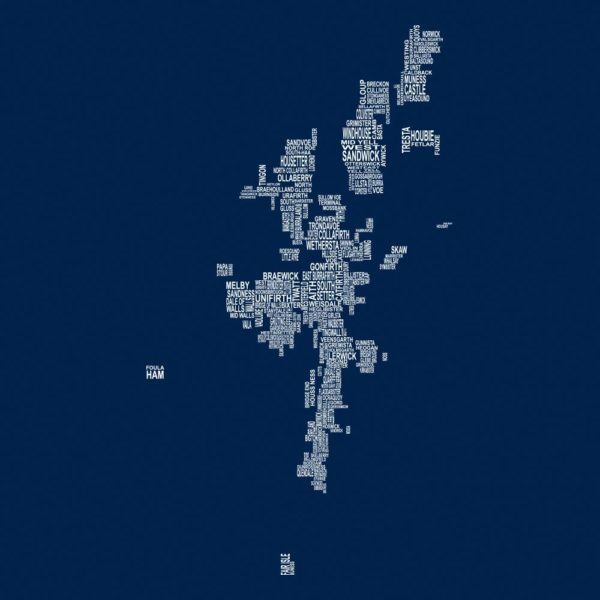 Shetland Map Names T Shirt. Do you have a favourite place on the Shetland Isles, then why not wear it for all to see? Traditionally screen printed on 100% quality cotton. Shetland, also called the Shetland Islands and formerly Zetland, is a subarctic archipelago of Scotland that lies northeast of Great Britain. The islands lie some 80 km to the northeast of Orkney and 168 km from the Scottish mainland and 280 km southeast of the Faroe Islands. Their population: 23,200 (2015) around half of these live within 10 miles of Lerwick, Shetland’s capital. This is on the Mainland, which with an area of 967 km² is the fifth-largest island in the British Isles. At the other end of the scale, the tiny island of Vaila has a population of just two people. It is made up of about 300 islands and sherries (tiny rocky islets), with 16 of them inhabited. Out Stack, one of the uninhabited islands, is the northernmost point of the British Isles, and has been described as “the full stop at the end of Britain”. Urban Pirates T Shirts are hand screen printed with traditional methods on high quality 100% cotton. Urban Pirate are a small independent business who obsess over all things Scottish. They are inspired by the heritage and landscapes of Scotland. They endeavour to keep all their suppliers local and reduce the carbon footprint of their products. 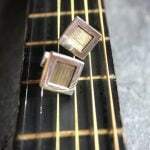 Mens Designer Silver Cufflinks With Guitar Wire By Chris Lewis. 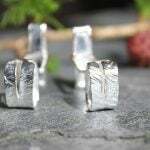 Mens Silver Organic Strip Cufflinks By Scottish Jewellery Designer Chris Lewis. 100 % Lambswool Handmade Scarf With A Light Chocolate Brown Wave Pattern. 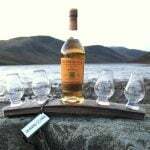 Unique Handcrafted Scottish Whisky Cask 4 Glass Bottle Holder with 4 Nosing Glasses. onemoregift.co.uk © 2019. All Rights Reserved.